Located just minutes from Causeway Bay, Butterfly on Morrison offers boutique style accommodation within walking distance of the MTR subway. Enjoying a modern European design, the hotel is close to attractions such as SOGO, Times Square shopping mall, Victoria Park, Wan Chai Bar Street and Golden Bauhinia Square and also enjoys easy access to Ocean Park and Hong Kong Disneyland thanks to a convenient public bus service. Located in central Hong Kong, Butterfly on Wellington offers charmingly exotic oriental accommodation with a contemporary edge that offers style and sophistication. Surrounded by the financial and administrative districts, the hotel offers the IFC Mall, art galleries and fashion boutiques on Hollywood Road as well as the entertainment and dining districts of SoHo and Lan Kwai Fong right on your doorstep. The hotel is also close to Bauhina Square, Man Mo Temple, Landmark Plaza, the Sun Yat-Sen Historical Trail and Disneyland. Centrally located in Hong Kong's Sheng Wan district, Citadines Mercer Hong Kong offers a choice of 4 star rooms and suites surrounded by an amazing range of shopping and dining options including a number of Michelin starred restaurants. The hotel is also close to SoHo, Lan Kwai Fong, Man Mo Temple, the MTR underground rail network, the Star and Tram Ferries and the Macau Ferry Terminal. Located in the Eastern District of Hong Kong right next to Causeway Bay, City Garden Hotel offers 4 star accommodation overlooking busy North Point. Surrounded by some of Hong Kong's most popular tourist attractions, the hotel is just minutes from the famous Street Markets of Marble Road, Tai Koo Plaxe, Hung Hom Star Ferry Pier, Hong Kong Coliseum, Times Square Shopping Mall and the MTR Fortress Hill underground railway station. Located in the heart of the business district, Conrad Hong Kong offers luxury accommodation surrounded by an excellent range of shopping, dining options and attractions. Boasting breathtaking views and an abundance of onsite facilities, the hotel is also within walking distance of the designer shopping complex of Pacific Place, the Bank of China, the Hong Kong Academy of Performing Arts and the Victoria Peak Tram. Located on Hong Kong Island, in the Wan Chai district of Causeway Bay, Cosmo Hotel Hong Kong offers 4 star accommodation surrounded by shopping and entertainment. Close to a number of popular tourist attractions and activities, the hotel is just minutes from the Hong Kong Convention and Exhibition Centre, Times Square, Queen Elizabeth Stadium, Admiralty, the Hong Kong Racing Museum and the Causeway Bay MTR underground railway. Located in Hong Kong Island's Wan Chai district, Dorsett Wanchai Hong Kong Hotel offers 4 star accommodation in the bustling shopping and entertainment precinct of Causeway Bay. Surrounded by a number of popular attractions including Times Square, the Hong Kong Convention and Exhibition Centre, Hong Kong Racing Museum and Queen Elizabeth Stadium, getting around is easy thanks to the hotel's convenient shuttle service and easy access to the MTR underground railway. Centrally located on Hong Kong Island in the International Finance district, Four Seasons Hotel Hong Kong offers prestigious 5 star accommodation that enjoys breathtaking views of Kowloon and Victoria Harbour. A Hong Kong landmark in luxury, the hotel is surrounded by a range of shopping, dining and attractions including SoHo, Lan Kwai Fong, the Macau Ferry Terminal and Central Star Ferry Pier. Enjoying spectacular views of Victoria Harbour and an established reputation for accommodation excellence, the Grand Hyatt Hong Kong offers 5 star accommodation right next to the Convention and Exhibition Centre. Close to the business and shopping precincts of Causeway Bay, Wan Chai, Pacific Place and Central, the hotel is also just minutes from the Times Square shopping mall and enjoys an outstanding range of onsite facilities. Located on North Point's stunning waterfront, Harbour Grand Hong Kong offers 4.5 star accommodation with a choice of more than 820 Superior, Deluxe, Grand Deluxe, Premier and Club Harbour View Rooms and Executive Suites. Enjoying spectacular views of Kowloon Peninsula and Victoria Harbour, the hotel is just minutes from Times Square shopping mall, Causeway Bay, Wanchai, Central, Hong Kong Coliseum, Hung Hom Star Ferry Pier and the MRT underground transport system. 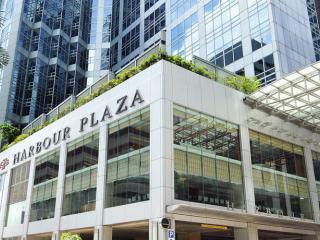 Offering 4 star accommodation in the Eastern District of Hong Kong Island, Harbour Plaza North Point enjoys easy access to public transport and is just minutes from popular attractions and shopping districts of Causeway Bay, Cityplaza and Taikoo Place. The hotel is also just a short stroll from the MTR Quarry Bay station, Hung Hom Star Ferry Pier, Hong Kong Coliseum and Times Square shopping mall. Holiday Inn Express Causeway Bay is a great value hotel situated on Hong Kong Island. Located within easy access to all the local sights and attractions of Hong Kong, Holiday Inn Express Causeway Bay is an ideal option for your next Hong Kong holiday. 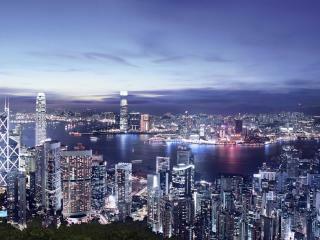 Hotel Indigo Hong Kong Island is ideally located in Wan Chai, Hong Kong Island. This great value hotel is close by to the local sights and attractions of Hong Kong including Stanley Markets and Ocean Park. Centrally located in Hong Kong, Hotel LKF by Rhombus in Lan Kwai Fong offers 4.5 star accommodation with an intimate and unique atmosphere. Set in the trendy region of Lan Kwai Fong, the hotel is surrounded by a wide range of entertainment, dining and shopping opportunities and is also just minutes from attractions such as the Landmark Shopping Area, the Victoria Peak Tram, Immaculate Conception Cathedral, SoHo and more. Centrally located in the North Point on Hong Kong Island, Ibis Hong Kong North Point offers a convenient range of accommodation designed for those looking for an affordable place to base themselves while they explore. With public transport available on your doorstep, the hotel enjoys easy access to major attractions such as Times Square shopping mall, Sunbeam Theatre, Hong Kong Coliseum, the North Point Ferry Pier and much more. Located on the West Central waterfront, Island Pacific Hotel offers some of the best views of Hong Kong Harbour from 80% of all its rooms. The stylish and comfortable accommodation is set in the Central and Western districts, recommended by the HKTB for its 'Travel Through Time' themed walks. The hotel is also just minutes from traditional Chinese grocers, antique stores, shopping arcades, the Convention and Exhibition Centre, Landmark in Central, the Sheung Wan Macau Ferry Terminal, SoHo and Lan Kawi Fong. Centrally located in the CBD the JW Marriott Hotel Hong Kong is conveniently located close to a range of dining, shopping and entertainment as well as public transport and tourist attractions. Situated at the top of the famous entertainment and shopping complex of Pacific Place, the hotel is connected to the MTR subway and is just minutes from one of Hong Kong's most popular attractions, the Victoria Peak Tram. Offering affordable accommodation in the business and shopping hub of Wan Chai, Kew Green Hotel Wanchai Hong Kong is surrounded by a range of dining and nightlife options and is close to public transport including an MTR rail network station. There are also a number of landmarks and attractions located nearby including the Convention and Exhibition Centre and Hung Shing Temple. Located in the south of Hong Kong Island not far from the Aberdeen Tunnel, L'Hotel Island South offers stylish accommodation close to a range of popular attractions and surrounded by Causeway Bay's best dining and shopping. The hotel is just minutes from Madame Tussauds, the Aberdeen Fish Market, Jumbo Kingdom, Tsim Sha Tsui, Ocean Park, Victoria Peak Tower, the Jumbo Floatig Restaurant, Happy Valley, Cyberport, Repulse Bay, Admiralty and more. Centrally located in Hong Kong between Lan Kwai Fong and the glamour of SoHo, Lan Kwai Fong Hotel @ Kau U Fong offers stylish boutique accommodation with a distinct oriental influence. Surrounded by Hong Kong's picturesque mid-level mountains and beautiful Victoria Bay, the hotel is just minutes from a range of shopping, dining, entertainment and attractions and enjoys easy access to the Macau Ferry Terminal. Located in central Hong Kong overlooking beautiful Victoria Harbour, Mandarin Oriental Hong Kong offers luxury 5 star accommodation connected to the business district by an air conditioned walkway. Just minutes from a range of popular attractions including Lan Kwai Fong and Edinburgh Place, the hotel boasts a fantastic range of onsite facilities including two Michelin star restaurants. Located in the centre of Causeway Bay's commercial and retail precincts, Metropark Hotel Causeway Bay Hong Kong offers comfortable, well-appointed accommodation within minutes of a range of public transport options and popular attractions. Conveniently close to the MTR station, the hotel is within walking distance of the Tin Hau Temple and a number of major shopping malls including the iconic Times Square. Conveniently located in central Wan Chai, Novotel Century Hong Kong offers modern accommodation in the busy commercial, entertainment and dining district. Set within walking distance of the MTR subway and Star Ferry, the hotel enjoys easy access to the Hong Kong Convention and Exhibition Centre, Happy Valley Race Course, Times Square shopping mall, Central Plaza and Causeway Bay. This Hong Kong Island accommodation offers an affordable choice for guests on the go. OZO Wesley Hong Kong features 251 modern and stylish rooms & suites all with free WiFi Internet and a bay window seating area to take in the city view. The Hong Kong International Airport is a mere 25 minute train trip or 45 minute drive away from this Hong Kong Hotel plus there are a number of restaurants, shops and attractions all within walking distance. Located in the heart of Causeway Bay's entertainment, shopping and commercial precinct, Regal Hongkong Hotel offers luxury accommodation surrounded by a range of popular activities and attractions including the Landmark shopping mall, Windsor House, Victoria Park, the Happy Valley Race Course, Convention and Exhibition Centre and a number of excellent dining options including Michelin star restaurants. Located on the waterfront of Victoria Bay, Renaissance Harbour View Hotel Hong Kong offers a choice of more than 850 rooms and suites. Neighboring the Hong Kong Convention and Exhibition Centre, the hotel offers a fantastic range of onsite facilities and is surrounded by a range of shopping, dining and attractions including Central Plaza Shopping Mall, Times Square and the Hong Kong Academy for Performing Arts. Located at the crossroads of the Wan Chai business district and Causeway Bay, South Pacific Hotel offers iconic accommodation with convenient access to some of the region's best shopping, dining and entertainment. Just a short stroll from the Times Square shopping mall and Happy Valley Racecourse, the hotel is also only minutes from the Convention and Exhibition Centre and Ocean Park and is right next to an MTR rail network station. Offering a modern range of accommodation, these hotels range from comfortable to luxurious and are conveniently located in the city centre enjoying views of Victoria Harbour.